It’s easy to underestimate the amount of work that goes into even a single issue of a comic. You flick through, eating up the dialogue and action as if you’re swallowed into a movie. Take a look at the credits, because writers and artists rightly get a lot of praise, but you can’t forget the inkers, colourists, letterers, and editors. 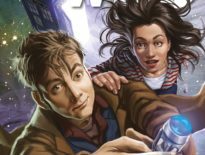 Music Man, the twelfth issue of Titan Comics’ Tenth Doctor Year Two, is a visual treat: the TARDIS has landed in New Orleans, slap-bang at the height of jazz, meaning the palette is wonderfully rich. Black-and-white art is beautiful in itself, yet the colours deployed by Arianna Florean, Mattia de Lulis, and Adele Matera adds so much here. I hold my hands up: generally, I don’t give enough credit to colourists. I have an excuse, honestly! I’m colour blind. As the optician said, I’m about as colour blind as you can get. I think that, as a consequence of this, I don’t really consider colour. It’s there, it exists, but ask me to identify one specifically, I’ll struggle. I have to really put a lot of thought into it. 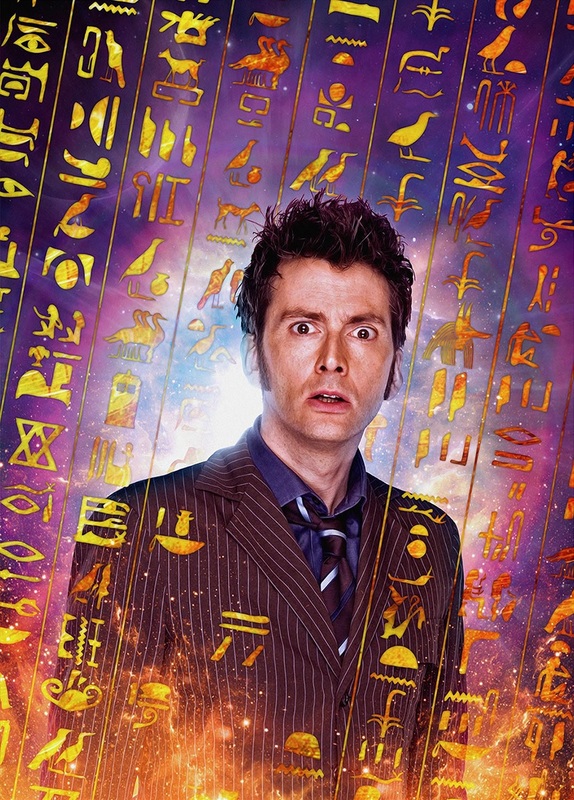 Which is why The Tenth Doctor #2.12 is even more interesting. I noticed. There are some beautiful contrasts in colour, making transitions between scenes run smoothly but remain noticeable. It’s about training the eye to associate a particular colour with a particular place or person: A lovely two-page sequence in front of the TARDIS is predominantly in dreamy, moody blues; the core Nocturne creature that threatens humanity is cast in shades of red, casting an eerie glow over the vicinity; and the main tones used for the era – from the musical notes to Gabby Gonzalez’s dress – are in deep yellows, greens, and golds. 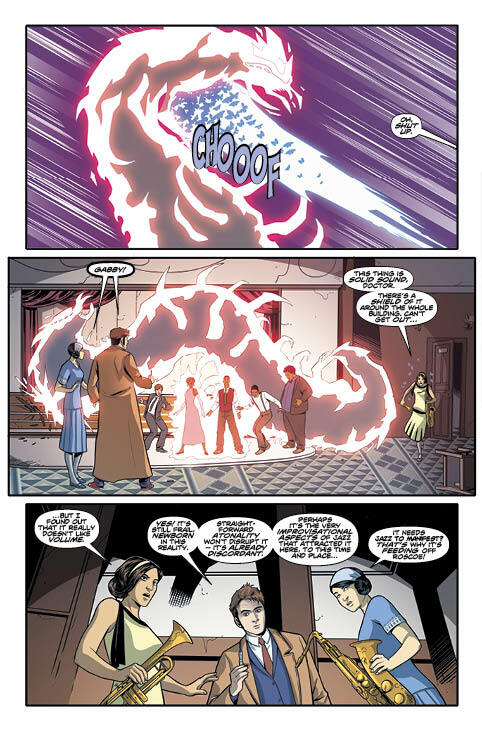 So too is the Tenth Doctor’s TARDIS console room, meaning you associate the cool jazz age with the warm time-space ship. This heightens the drama as the Nocturne’s reddish hues invade the golden surroundings, showing that everything is in danger. This is certainly evident by the issue’s close. It appears that the Doctor’s companions, Gabby Gonzalez and Cindy Wu, are starting to realise the consequences of travelling in time and space. It’ll be interesting to see what happens to the pair when they return to New York next issue. What decisions will they make? Will the dark outweigh the light? Or will the Doctor convince them both to carry on? What would happen if one decides to stay and the other to leave? Writer, Nick Abadzis ends this issue perfectly, in a downbeat moment. With Giorgia Sposito on art, readers familiar with the title will immediately know this is going to be a great comic. This creative team hasn’t put a foot wrong. While Music Man feels very unconventional – a music monster in a silent medium – it’s also reminiscent of a classic Who: Image of the Fendahl, and that’s definitely a good thing, as are any comparisons to Disney’s The Princess and the Frog. That movie has a similar setting and an unusual enemy too, and mixes joyful moments with the melancholic. Equally, its colour palette is gorgeous. Finding comics as good as this title is as rare as seeing a rainbow, and The Tenth Doctor #2.12 certainly shines brightly. 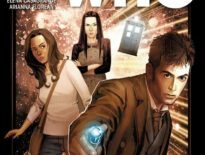 The Tenth Doctor #2.12 is out now, priced $3.99.